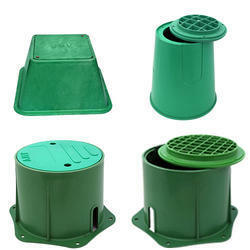 Prominent & Leading Manufacturer from Noida, we offer earth pit cover, frp earthing pit chamber, grounding pit cover, earthing pit cover, frp pit cover and advance pit cover. Offering you a complete choice of products which include Plastic Earth Pit Chamber, Earth Pit Chamber, Polyplastic Earth Pit Chamber, FRP Earth Pit Chamber, Earth Inspection Pit Chamber and Polypropylene Earth Pit Chamber. Earth pit cover is designed for the protection of earthing system above the earth surface. It protects earthing from external means of environmental changes. Avail from us the high quality of earthing inspection covers at the most reasonable rates. We manufacture these with the usage of the premium quality of raw materials. It has a safe work load of 2000 kilograms. The offered range is all in scope regarding customer centric approach. We are renowned names involved in the manufacture and supply of the Earth Pit Covers. It is manufactured with the usage of the premium quality of raw materials. We are widely appreciated among the clients for being light weight earth inspection housing and has a maximum safe working load of 2000 kilograms. In order to prevent cold weather damage, it is UV stabilized against degradation by sunlight and non-brittle. Pit Cover can be manufactured from a variety of materials. FRP Pit Cover is an ideal choice due to the possessed physical qualities like excellent dielectric properties, high mechanical strengths, chemical resistance and zero water absorption. With the high technology of the product, JMVs light weight earth inspection housing has a maximum safe working load of 2000 kilograms. It is UV stabilized against degradation by sunlight and non-brittle to prevent cold weather damage. 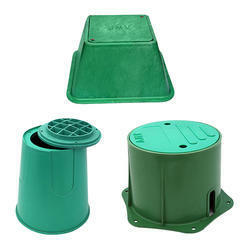 We are the leading manufacturer and exporter of the superb quality of earthing pit covers at the most reasonable rates. We manufacture these with the premium quality of raw materials. It ensures corrosion, sturdy construction and durability. These are uv-stabilized and have a unique detachable locking lid. Avail from us the high quality of Earthing Inspection Cover available in different material and dimensions. 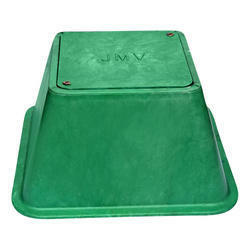 JMV manufactures pit covers of different material employing premium quality of raw materials. It has a safe work load of 2000 Kilograms. Our offered range of pit covers are for durability. Avail from us the high quality of earthing inspection covers at the most reasonable rates. We manufacture these with the usage of the premium quality of raw materials. It has a safe work load of 2000 kilograms. Our offered range is appreciated among our clients for durability. We offer premium quality Chemical Earthing Pit Cover, which is manufactured from custom-made tube to ensure maximum conductivity and prolonged service life. In Layman terms, earth pit cover is a risk assessment insurance to user’s life and his equipment; because Fault Failure is not an option. These products are renowned for their capability to provide easy security inspections at industries, offices, houses and various other places. This pit cover ensures a number of features like excellent dielectric properties, chemical resistance, high mechanical strengths, and no water absorption and so on. These optimum features make them appropriate for commercial and industrial applications. The lid of the Earthing Pit Cover perfectly fixed into the base that can be easily opened using a standard flat screwdriver. We have been being one of the prime grounds Pit covers suppliers & exporters, offering the excellent solution reckoned in the market for lightweight, easy handling and UV-stabilized characteristics. 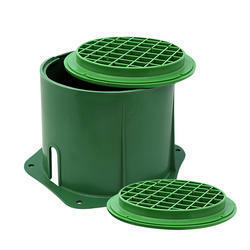 FRP Earthing Pit Cover is one of the suitable earthing pit cover in electrical earthing installation. It is manufactured from a variety of raw materials. FRP pit cover is an ideal choice in earthing because of its light weight. Grounding Pit Cover, FRP Pit Cover, Earthing Pit Cover, Advance Pit Cover, Earthing Inspection Cover etc. are the requested terminologies for the same. Looking for Pit Cover ?